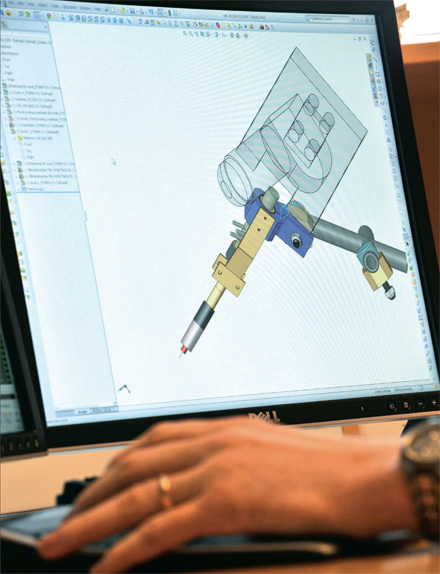 We develop existing equipment, or realize product ideas envisioned by our customers. One of our strengths is that we have all the necessary competence under one roof. The company has departments for sales, project management, design, programming, fabrication and assembly. In dialogue with the customer, we identify and specify the required product functions. Together, we find the best solution for each project. For the product development process and the final result, close collaboration and direct communication between the various specialists are an enormous advantage. The project manager is with you all the way and has a hand in all facets of the project. For the customer, dealing with the same contact person throughout the entire process is reassuring. For us, it is only natural that the customer should have direct insight and the opportunity to influence the project on an ongoing basis.